Taking a break from the Nashville nightlife, I headed south through Alabama to Pensacola, Florida where the summer crowds had died down and the weather was a perfect 80 degrees during the day and a crisp 70 at night. Pensacola comes alive for its every other month art gallery crawl on Friday night where local artists show their latest creations in and around old town Pensacola on Palafox with musicians playing music in clubs, on overhanging porches and the city parks. Emanuel Cook was jamming by the park near the end of the action. Emanuel is a guitarist who once played with Miami, Florida native Betty Wright. Emanuel easily moves between Jazz and Blues with eclectic taste. One of his favorites is Gino Vanellis’, “ I Just Wanna Stop” that Emanuel just throws in like its nothing at all, between a cover of Muddy Waters’, “Hoochie Coochie Man” and “ Black Water,” by The Doobie Brothers. Emanuel Cook is a local Pensacola treasure mixing up jazz chords, open blues configurations and singing with a warm, rich resonant voice. Emanuel is a little hard to find on the web, but, look him up playing somewhere along Palafox if you are ever down by the gulf. Tell Emanuel you read about him on The Nashville Bridge. 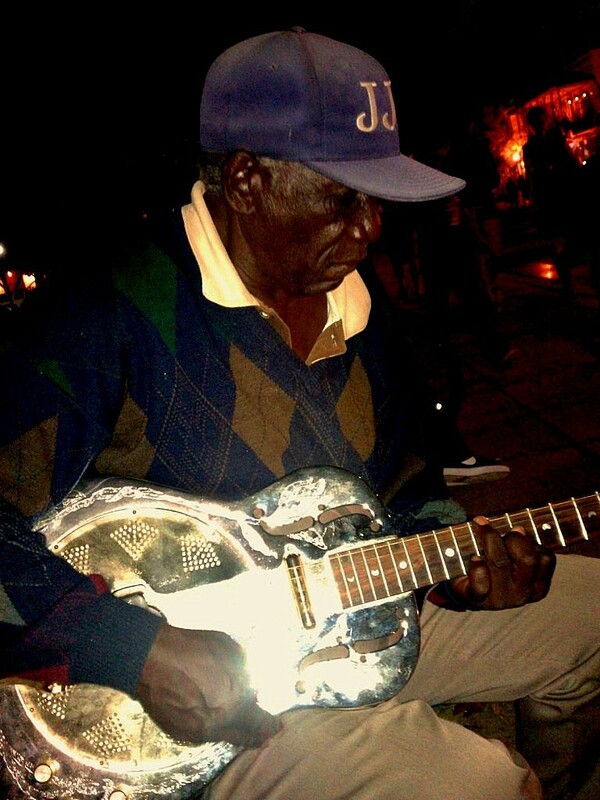 I jammed with him for a while and got a picture of Emanuel playing my Luna Dobro hybrid. Down the street, Vinyl Music Hall is the club that brings the bands down by the bay. When you are down in Pensacola, you got to get yourself some fish! Joe Patti’s is the place to get it fresh. 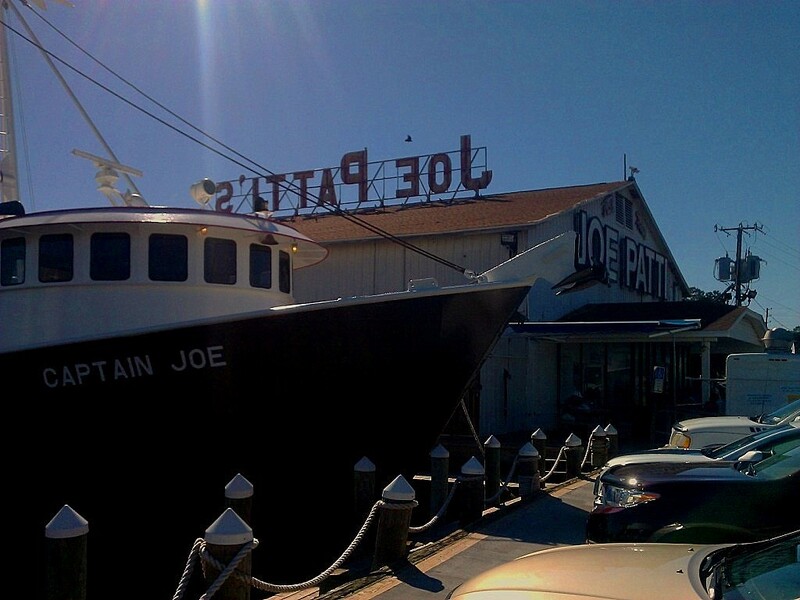 For over 75 years, Joe Patti’s has existed down on Pensacola Bay. 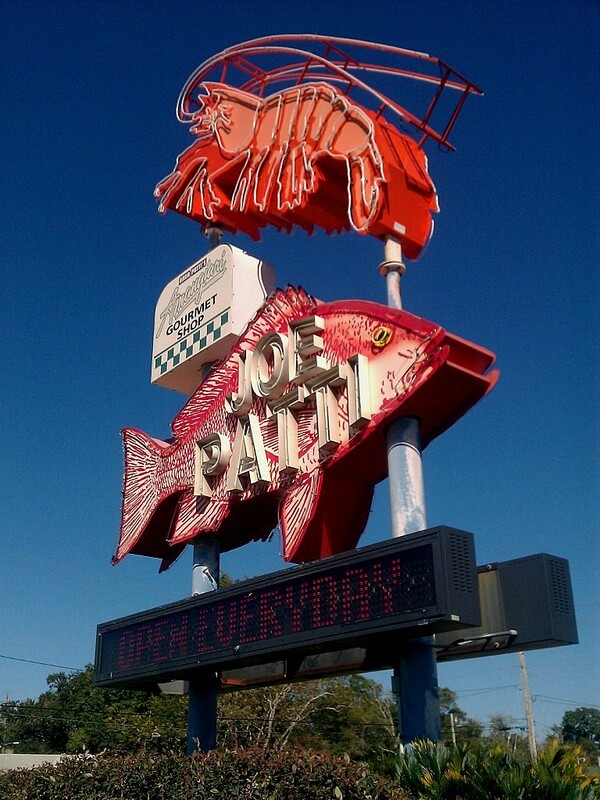 During the 1960’s, Joe Patti’s Seafood was sought after up and down the Florida and Alabama Gulf Coast by the finest restaurants. 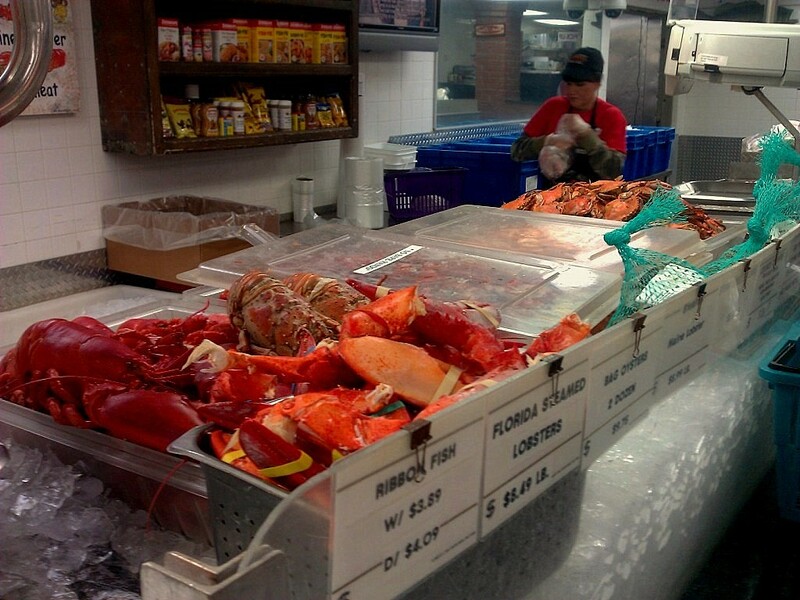 Nowadays, the retail operation is world class, where not only do they have fresh seafood, where you can find all the panhandle favorites such as grouper, pompano and redfish, but, also Florida lobster, Gulf shrimp and even catfish. The store also includes fresh sushi, a wine shop and a delicatessen, with everything from fresh baked Italian bread, homemade Gelato to all kinds of seafood salads and the largest collection of imported olive oil that I have ever seen in my travels. I opted for an early lunch of Lobster Salad which contained full lobster claw pieces, some shrimp in lime juice with a little salt, cilantro and red and green onions. It was great straight out of the half pound size plastic container, but, may have been even better on a hot sourdough baguette with some of their fresh roasted garlic spread. While there was plenty of great food to bag and eat out by the pier, Joe Patti’s has a restaurant around the corner mainly catering to the lunch crowd from Tuesday thru Saturday. 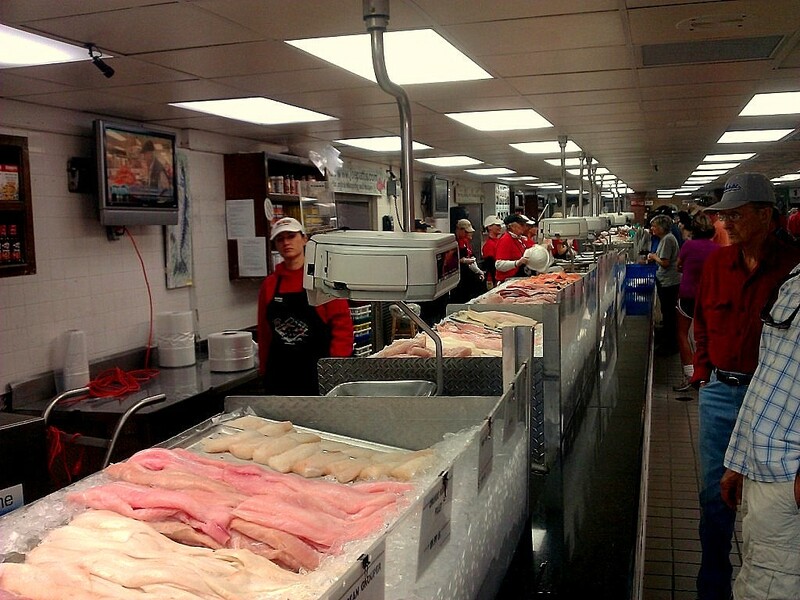 It’s called Captain Joey Patti’s Seafood and Deli on C Street. 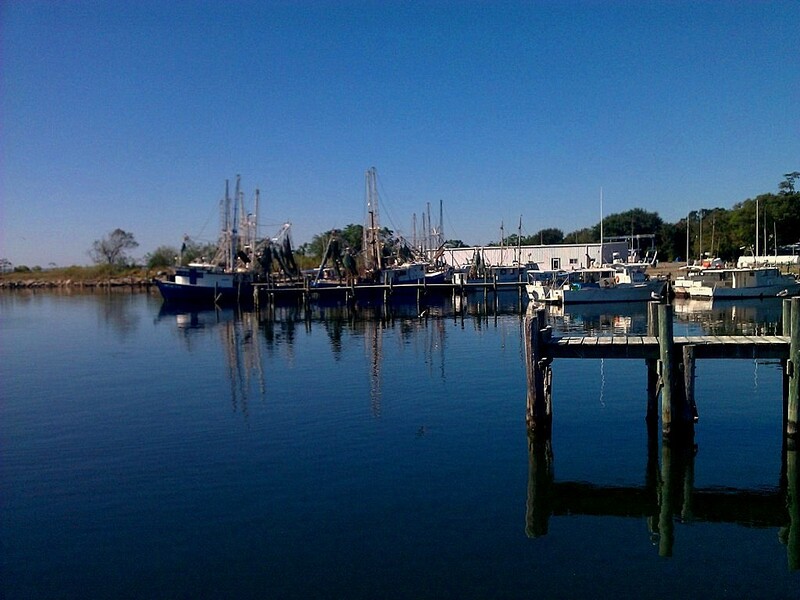 The fish is fresh from the dock, with Grouper and the catch of the day fried in their own seasoned cornmeal batter. 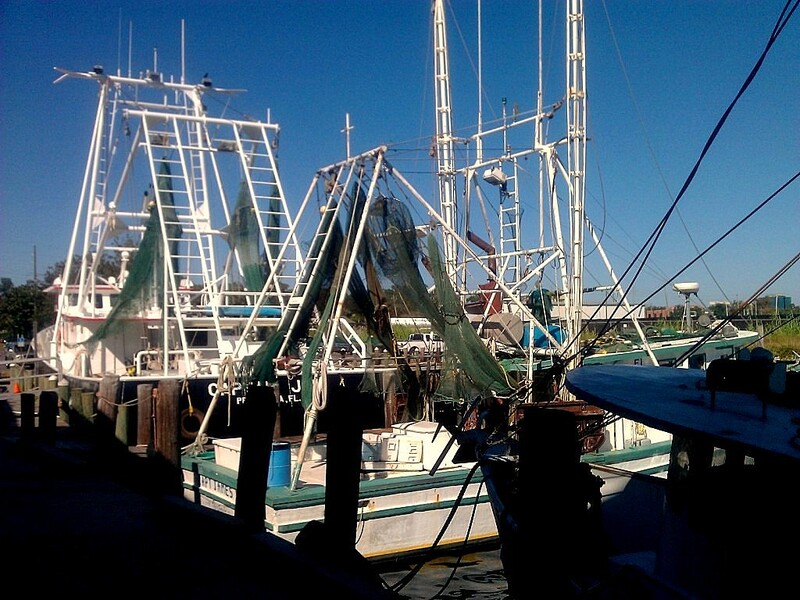 A big shrimp basket with fries is less than $13, while the catch of the day is less than $10. The food is like the best home cooked seafood you could imagine, nothing fancy, but, everything will bring you back for more. I ate their twice trying their seafood gumbo with chunks of shrimp and crab one day and the catch of the day with cheese grits and cole slaw on the side the next. The fish with two sides was less than $10. The cole slaw was another thing. It was some of the best creamy cole slaw I ever had. I detected some tang with the sweet, possibly a little pickle juice. I was unable to find out the secret from the waitress. You’ll have to try it and see what you think. 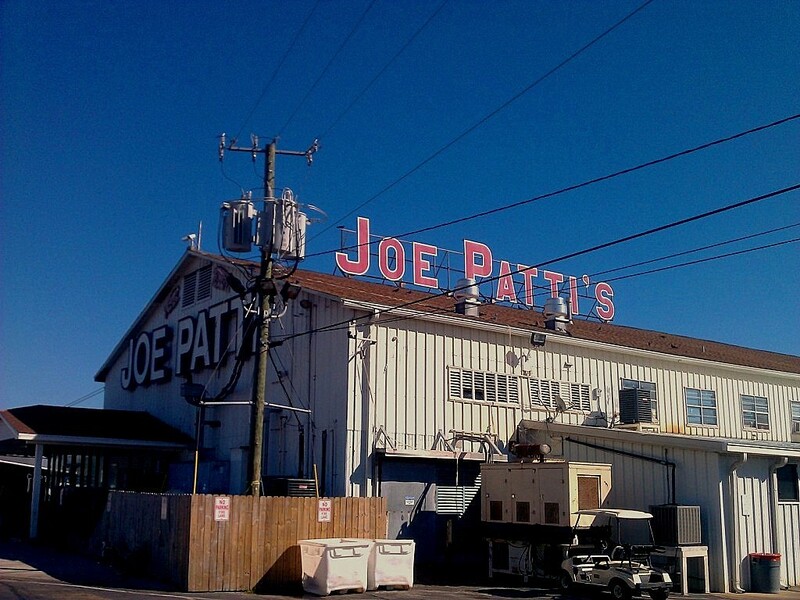 Everything was so good at Joe Patti’s that I plan on getting a Styrofoam cooler from Dollar General on Monday and loading up some fresh catch for Tennessee before I head back. 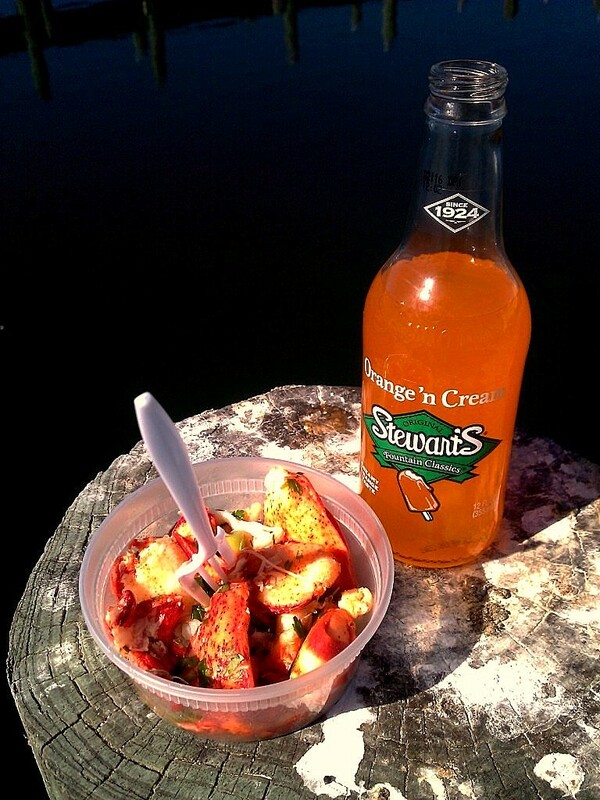 One more thing you need to try in Pensacola. Key Lime Pie is a Florida trademark. I have seen shows that claim they found the best or so and so has always been considered the best in Key West. 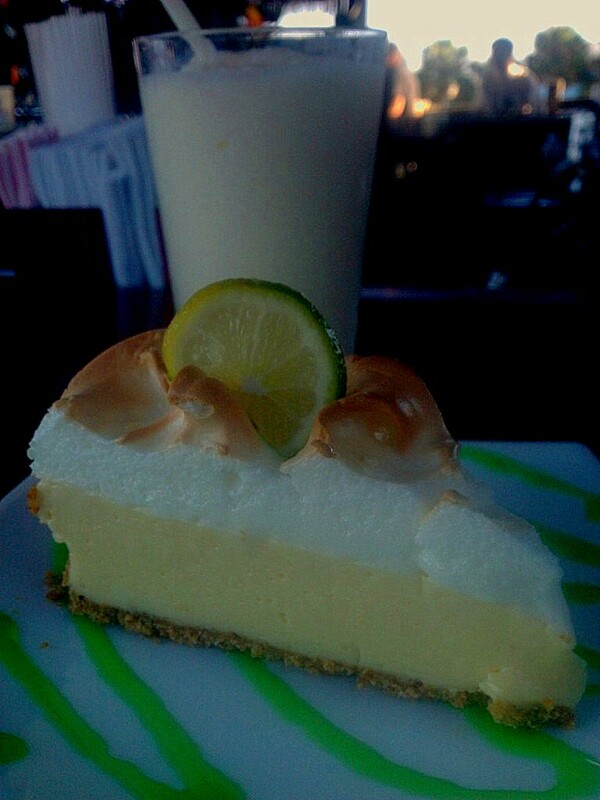 Well, The Fish House right on the bay makes the best Key Lime Pie in the world. It is natural yellow instead of tinted with food coloring to make it green. It melts in your mouth along with the mile high fresh meringue on top toasted to a nice brown. You gotta have some Key Lime Pie when you’re in Florida. Music, food, white sand beaches, beautiful women and a nice small downtown nightlife make Pensacola one of the greatest escapes south of Nashville.